The global repair movement is ultimately ambitious in its goals: to regain the right to repair, to push for more durable and more repairable products, and move towards new systems that do not generate massive amounts of waste or put such stress on people. In order to achieve these visions, we need to collaborate in a number of different ways. Giving products ‘repairability’ ratings would raise awareness among consumers about the sustainability of design while also providing an incentive for manufacturers. Ideally, such ratings would result from close collaboration between consumer advocacy groups, environmental NGOs and repair organisations. 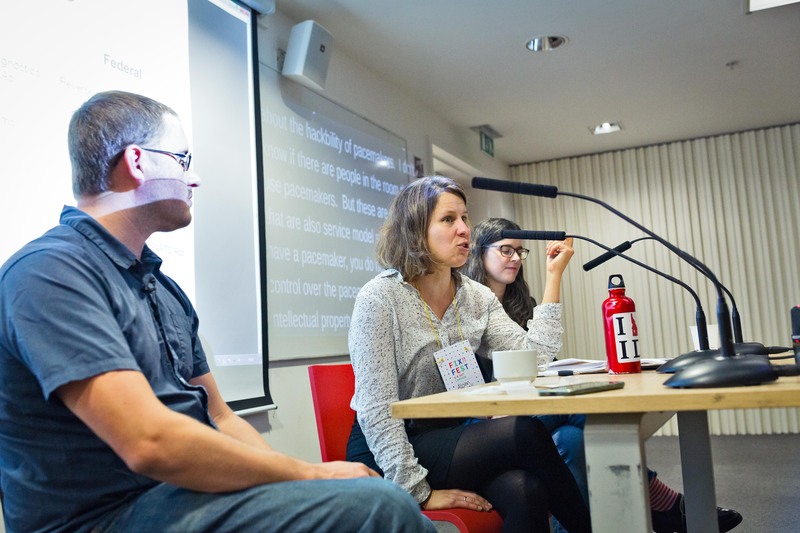 Lara Houston (Goldsmiths University) and Andrew Hatton (Greenpeace UK) facilitated an unconference discussion on how experienced community repairers can help those working towards repairability ratings. See here for notes. In a teardown demonstration, commercial screen repairers BFix stressed the need to speak up about smartphone repairability. On Saturday evening, the founding members of the Open Repair Alliance announced their goal to develop a standard that would allow repair groups around the world to gather, share and analyse data from community repair events. With information about recurrent faults and success rates of repair attempts, we’ll be in a much stronger position to put pressure on manufacturers. In the unconference, Restart’s Tech and Data Lead Neil Mather began a “data dive” that will be continued virtually (notes here). We encourage those who are interested in links between repair and data collection to remain engaged – we need your help! A number of speakers alluded to important policy issues we need to watch and work on. Kyle Wiens (iFixit co-founder and CEO) spoke passionately in his keynote address on the ‘right to repair’ campaign. Alison Powell (LSE) addressed the rise of the Internet of Things and the growing problem of software obsolescence. Leyla Acaroglu (UnSchools) spoke about the need to design regenerative systems (watch here). On Sunday, we identified the need for more information-sharing, more joined-up research and attention to issues at the European level. Involving more and more people in the repair movement is a communications challenge as much as anything else. On Sunday, we discussed some of the ways that we can reach out to different audiences in more powerful ways. The Italian Restarters raised the important point that emotion is a significant component of any repair, and this can be harnessed by campaigners. (This discussion already impacted messaging for International Repair Day.) Drawing parallels with work done by Greenpeace UK and similar organisations, we also discussed the possibility of ‘naughtier’ or more disruptive campaigns.